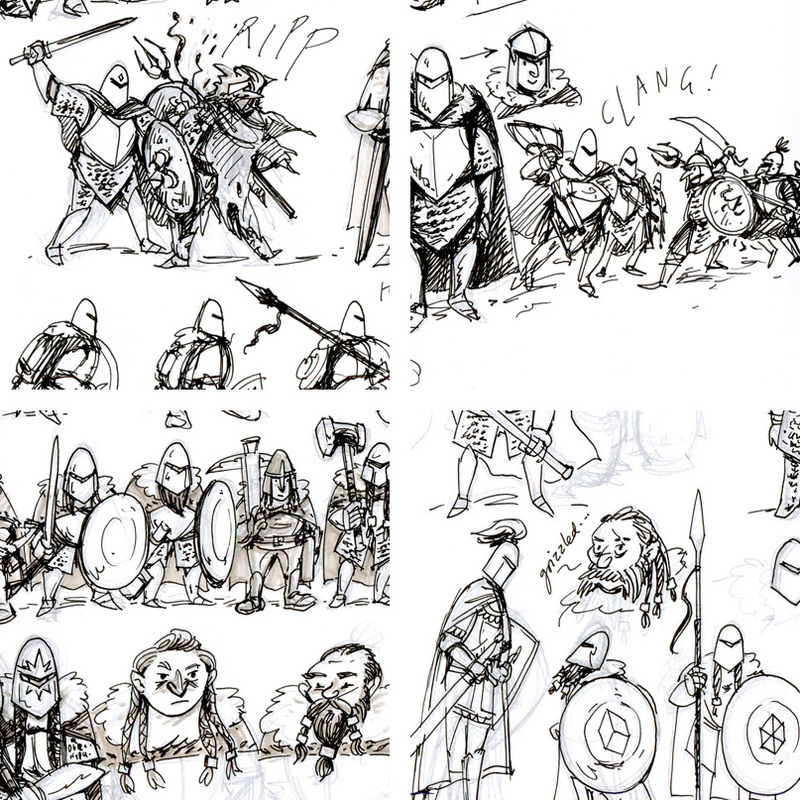 Been a while since I posted any sketchbook stuff, so here are some dwarves (dwarfs?). Particularly like the energy of some of the fight scenes and the Siberian-looking dwarfs (dwarves?) at the bottom left. Would like to develop a story about dwarves (ok now I have stared at that word too long and they both look wrong), their pragmatism and industry is to be admired, and the idea of underground cities stirs something deep in the subconscious. Note: I have not seen either of the Hobbit films yet, am more inspired by this guy's mad project.